Centerstone has just released its fifth superhero-themed comic book for teens. Spark: Rising from the Ashes addresses the crucial topics of depression and suicide prevention among today’s youth. It is available now for distribution through Centerstone prevention specialists serving schools and community centers throughout 58 Tennessee counties. The free comic book can also be read online and reprinted. Centerstone created this original series of graphically illustrated comic books targeted to teenagers. Previous comics in the collection have dealt with other relevant topics adolescents face, such as bullying, sexting, underage drinking and online safety. 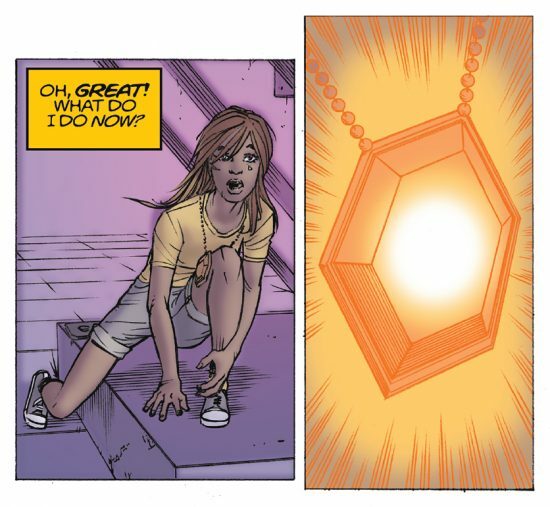 Spark: Rising from the Ashes tells the origin story of Amber, a teenager who becomes the superhero known as “Spark,” and her experiences in the wake of her mother’s death. As a young girl dealing with a devastating loss, she struggles to focus, drops out of social activities and feels overwhelmed by depression and suicidal thoughts. The new comic includes a four-page insert with information about warning signs of suicide and what to do when someone may be at risk as well as details about the National Suicide Prevention Lifeline (800-273-TALK). Centerstone is a partner of the national Lifeline, answering calls and providing local support in multiple states. According to the Substance Abuse and Mental Health Services Administration, nearly 13 percent of adolescents ages 12 to 17 had at least one major depressive episode in 2016. The Centers for Disease Control and Prevention reports that depression rates have risen 63 percent since 2013 and that for youth from 10 to 24 years old, suicide is the leading cause of death. Prevention specialists at Centerstone will distribute Spark: Rising from the Ashes during classroom presentations and to teachers at schools that have signed up to participate. The comic will also be made available at various school and community events as well as Centerstone’s outpatient clinics and website. 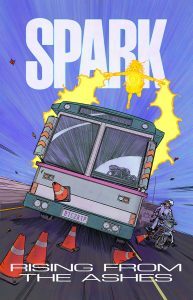 The publication of Spark: Rising from the Ashes was made possible by a grant from the U.S. Department of Health and Human Services (HHS), Office of Adolescent Health, grant number TP1AH000081-01-01; its contents are solely the responsibility of the authors and do not necessarily represent the official views of HHS. Check out Centerstone’s other resources for teens.